UFC 126 Belfort vs Silva Mandalay Bay | MMA Fighting Events Videos Techniques UFC Fight Picks and News. On Saturday February 5th, the UFC returns to the Mandalay Bay Events Center in Las Vegas with UFC 126 Vitor Belfort vs Anderson Silva. UFC 126 has two other big match ups, Forest Griffin vs Rich Franklin and Jon Jones vs Ryan Bader. As always,the undercard will also be stacked to fully entertain MMA fans. UFC 126 is already sold out and due to the Super Bowl the following day, Las Vegas is going to be the place to be. So for those of you placing bets, let's take a look at the main event, Vitor Belfort vs Anderson Silva. Anderson Silva is the favorite in this MMA fight. At the time of this writing, the odds makers have him at -280. For those of you new to odds and sports betting, -280 means that you would have to bet $280 to win $100. On the other hand, the odds makers have Vitor Belfort at +210, meaning that a $100 bet would return $210. 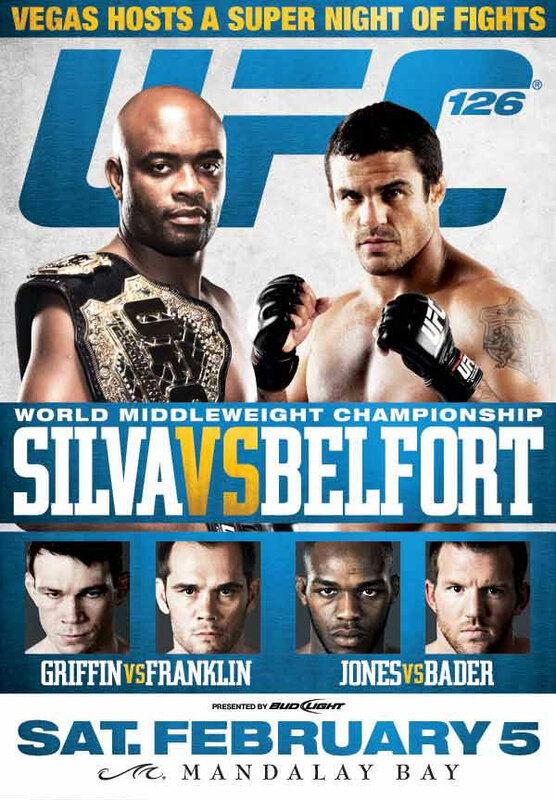 The fight between Belfort and Silva at UFC 126 is hard to pick. Silva is undefeated in the UFC but has had inconsistent performances. Silva sometimes dominates, sometimes pulls out boring decisions, and twice has pulled out submission victories after being dominated. Silva always finds way to win though, and MMA experts know that he has all the tools to dominate. Belfort is also unpredictable. He has quick hands and great boxing but has had trouble in fights where the wrestling and grappling get tough. He has losses to tough fighters with good wresting skills. Randy Couture, Tito Ortiz and Dan Henderson have all beat Belfort and Alistair Overeem owns a guillotine submission win over him. He's dropped down to the 185 lbs division in the UFC though, and has had success, recently beating Rich Franklin and riding a five fight winning streak. While you wait for UFC 126, check out our Fight of The Year 2010 series. Also, if you missed it, check out the UFC Top Submissions higlight video. 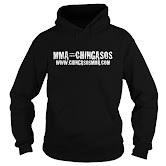 Check out UFC 126 results.